The technique for the placement of the first trocar described here applicable to all patients, but is particularly useful in morbidly obese patients. medial to the lateral border of the sacrospinalis muscle as indicated in Figure 1. Using the Visiport® introducera, the laparoscope is inserted through the incision and advanced sequentially through the fascial layers under vision. The tip of the scope should be maintained at an approximately 10° to 15° angle toward the umbilicus to achieve the correct trajectory to allow entrance into the retroperitoneum. An angle completely perpendicular to the body wall may result in an inadvertent penetration of the psoas muscle, while too dramatic of an angle may result in dissection of the layers of the abdominal wall musculature with the laparoscope and failure to enter the retroperitoneum. Once the retroperitoneum is entered, the Visiport device is removed, leaving the 10-mm trocar in place in the retroperitoneum. The trocar is then secured to the skin with sutures, and carbon dioxide insufflation is achieved to 15 mmHg. Blunt dissection with the laparoscope during insufflation may be necessary to further develop the retroperitoneal space anterior to the psoas muscle. The technique for the placement of the first trocar described above is applicable to all patients, but is particularly useful in morbidly obese patients. 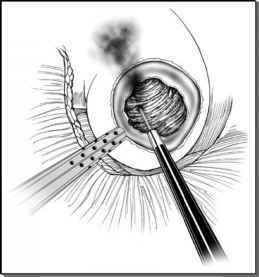 Figure 1 ■ Port placement for retroperitoneal laparoscopic renal biopsy. A, location of 10 mm port: midpoint between the 12th rib and iliac crest in the PAL; B, location of 5 mm port: AAL at similar level to 10 mm port. Abbreviations: PAL, posterior axillary line; AAL, anterior axillary line.